Thinking of moving to France? Our guide has everything you need to know for buying a French property and moving to France. If you’re planning on moving to France from the UK and becoming an expat you will have a lot of questions and worries. 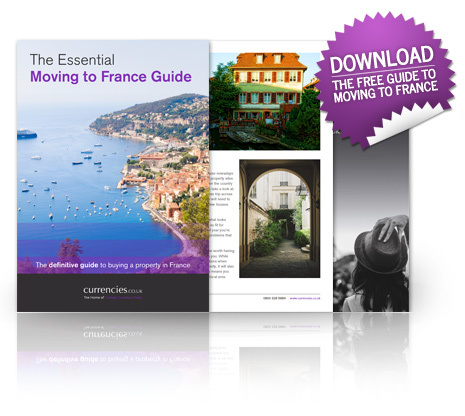 To put your mind at rest, we have created a free Moving to France Guide for you to download. We’ve covered everything you need to know. Along with an emigration checklist to help you get prepared, we’ve included information on healthcare, buying a French house, taxes and finance, transferring money to France, and even some pointers on navigating French culture. All you need to do is enter your details in the form and you’ll get instant access to our free moving abroad guide. We hope it helps you get on your way to France and living a wonderful new life abroad. We are used to efficient, friendly and value-for-money service from you – and our recent transaction was no exception. We are complete novices, living in Australia and renovating an old farmhouse in France – we’ve saved a good deal of money with very competitive, unparalleled rates and learned a bit too. They were familiar with the notaire in France I was dealing with. The transfer of funds came through immediately. A breath of fresh air.